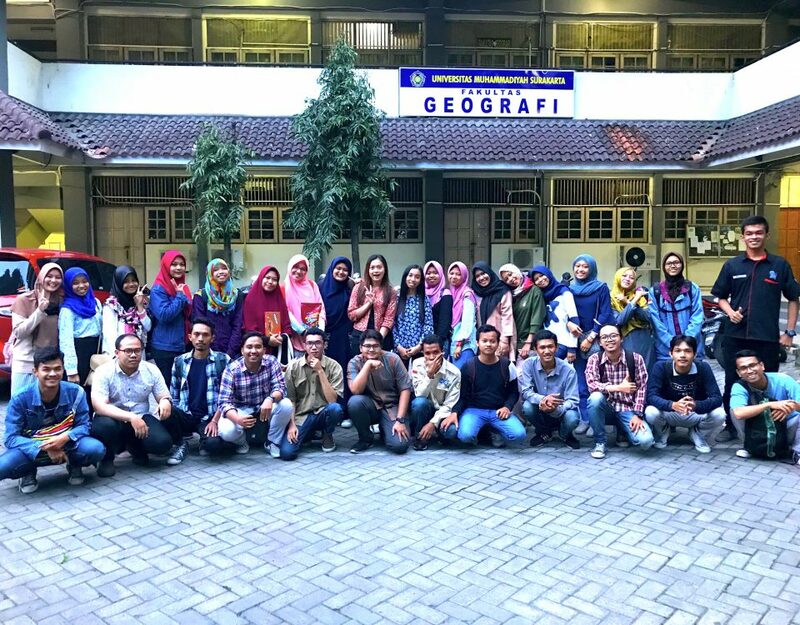 Humanitarian OpenStreetMap Team has completed mapping Semarang, the capital and largest city of Central Java. A city of 373.8 square kilometres and a home to over 1,5 million people, Semarang is the fifth largest city in Indonesia. Due its unique topography with coastal lowland to the north and bumpy highlands to the south. This makes the city particularly prone to tidal flood and landslides. 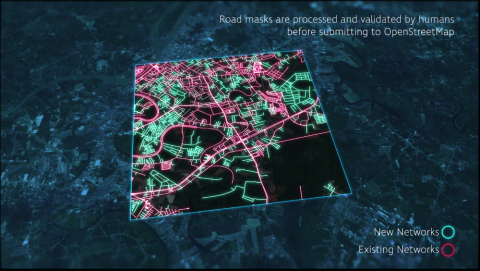 The mapping project focuses on digitizing all building footprints, road networks, and waterways. 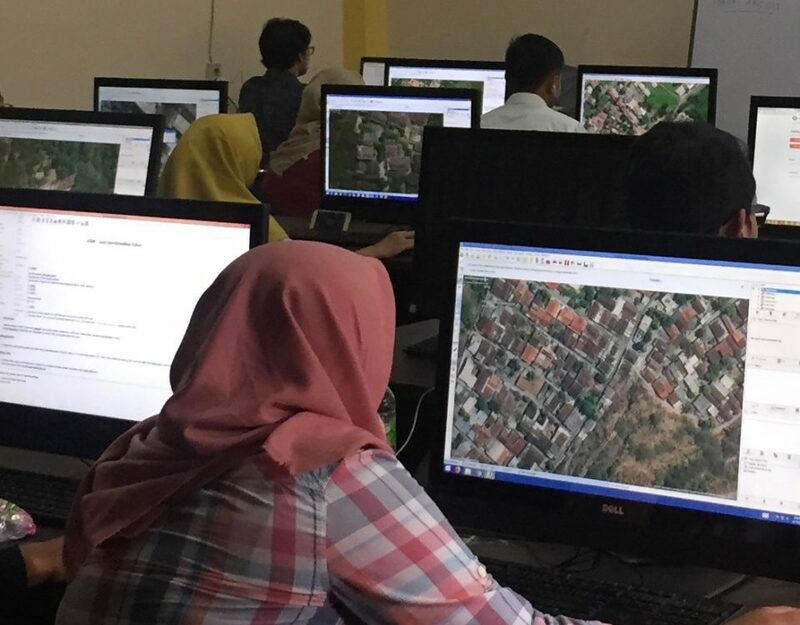 Teams of data entries combed through every street to validate the map, whilst adding data attributes to every lifeline infrastructures, such as hospitals, schools, markets, and other public infrastructures critical to devise contingency plans for disasters. 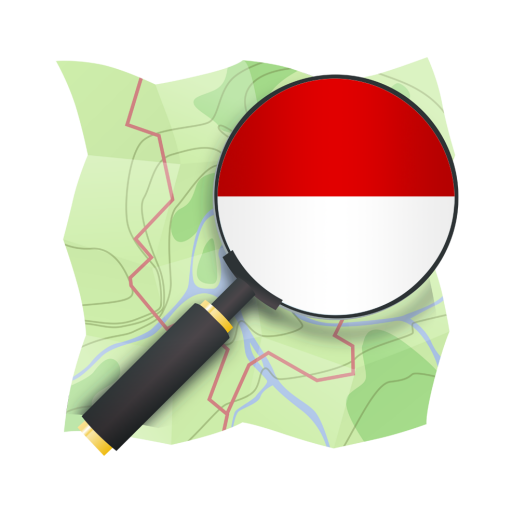 This project is part of InAWARE, a disaster management tool, aimed at improving overall risk assessment, early-warning, and disaster-management decision making in Indonesia. This project is made possible with support from the USAID, Office of U.S. Foreign Disaster Assistance (OFDA), as a funded program together with the University of Hawaii: Pacific Disaster Centre (PDC) and the Massachusetts Institute of Technology (MIT): PetaBencana to support the Government of Indonesia: Badan Nasional Penanggulangan Bencana (BNPB), and Badan Penanggulangan Bencana Daerah (BPBD) DKI Jakarta, Jawa Timur, and Jawa Tengah. 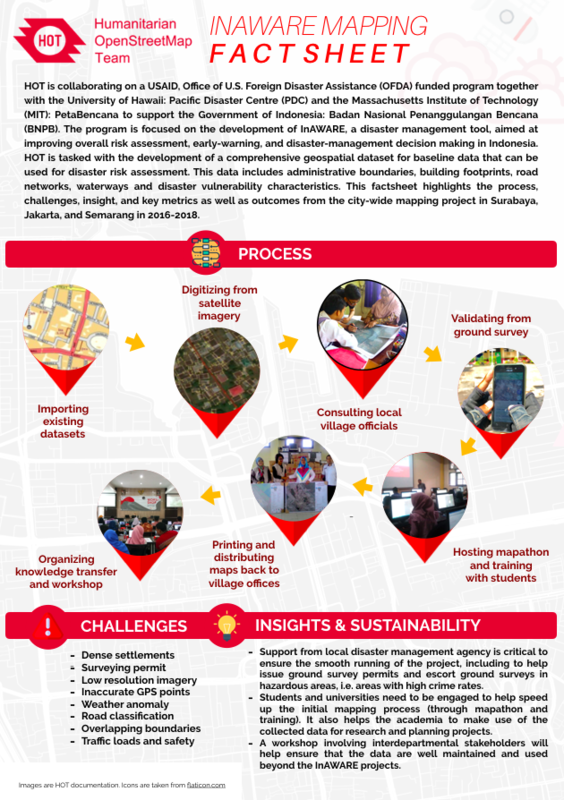 The following factsheet summarizes key metrics and lessons learned from the mapping project in Semarang, alongside with the ones collected in Surabaya and Jakarta. Our team managed to map over 482,000 buildings; 4.4 million metres roads; 433 metres waterways; and 11,000 infrastructures. The whole process took only four months, covering all 177 villages and 16 subdistricts. A comprehensive map like this is not only useful for disaster management, but can be further utilized for a variety of city planning purposes. Watch the following video to see footages from our ground survey activities. Our project could only be completed with continuous support from local communities, universities (State University of Semarang), and BPBD Semarang. We distributed printed OSM maps to all village offices and now move onto creating atlas for local disaster management agency and village officials to use. Check out this webpage to further explore about this project. 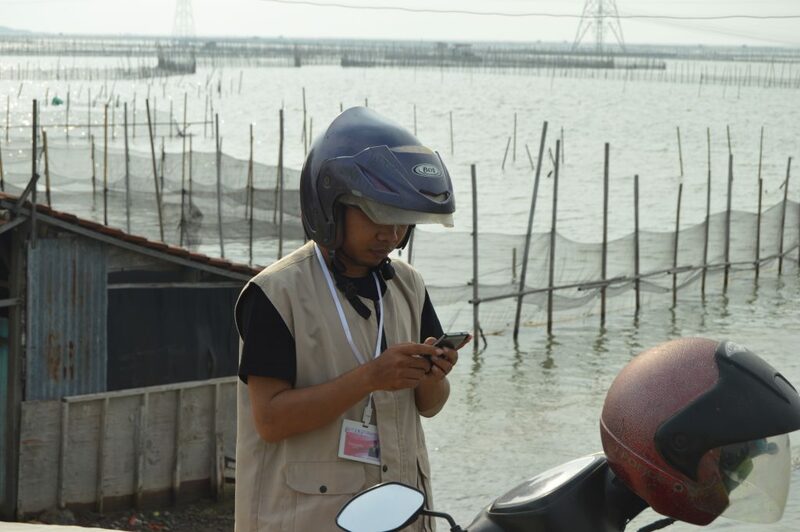 Biondi is a Communications Specialist in the Humanitarian OpenStreetMap Team (HOT) Indonesia. He studied International Economic Policy and Sustainable Development in SciencesPo Paris and Peking University Beijing.